Within a fortnight of Indian military operation targeting their bases in South Mizoram, the separatist Arakan Army (AA) has attacked a Burmese civilian vessel carrying steel frames for a bridge constructed by India. The rebels set fire to MV Yadana Win 7, carrying 300 steel frames for the Paletwa Bridge project. The crew, all of them Burmese, was abducted. The vessel had sailed from Yangon to Paletwa via Sittwe and Kyauktaw . It was attacked by the AA near Namada village in Paletwa on Saturday night. The attack forced the vessel to dock by the river bank where the AA set fire to it and abducted the crew members. The abducted crew was later released, Myanmar Police sources confirmed. The Paletwa bridge is one of the nearly 70 bridges that India is constructing or strengthening as part of the road element of the $ 484 million Kaladan Multimodal project. After years of delay, India finally got on with the construction of the 109-kms road that is to connect the Paletwa river terminal to Zorinpui in Mizoram. The target date for completing this road is October, 2019 but work is far behind schedule because the contractor , Delhi based C&C Constructions, had to wait until Jan 2018 for requisite clearances. India has completed the rest of the Kaladan project, including the construction of the Sittwe Port, construction of a river terminal 158 upstream at Paletwa and dredging of the Kaladan river. On the Indian side, the Aizawl-Saiha National Highway is being extended by 90 km to Zorinpui on the Myanmar border. Also, a Rs 6,000-crore project is under way for four-laning the 300-km highway from Zorinpui to Aizawl to ensure speedy cargo transhipment. Completion of the Paletwa-Zorinpui road, therefore, holds the key to operationalize the Kaladan multi-modal project. 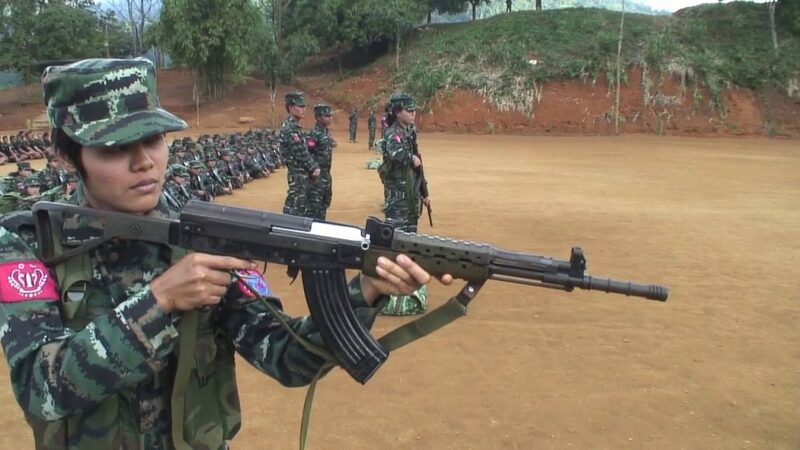 But with the increasingly powerful Arakan Army , perhaps upset with the Indian military operations in southern Mizoram, targetting projects like the Paletwa bridge , the Kaladan Multimodal project may run into a new set of difficulties.